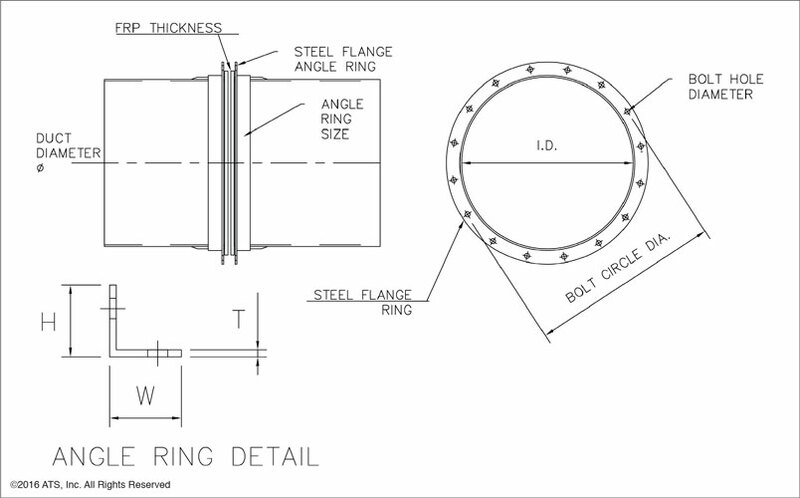 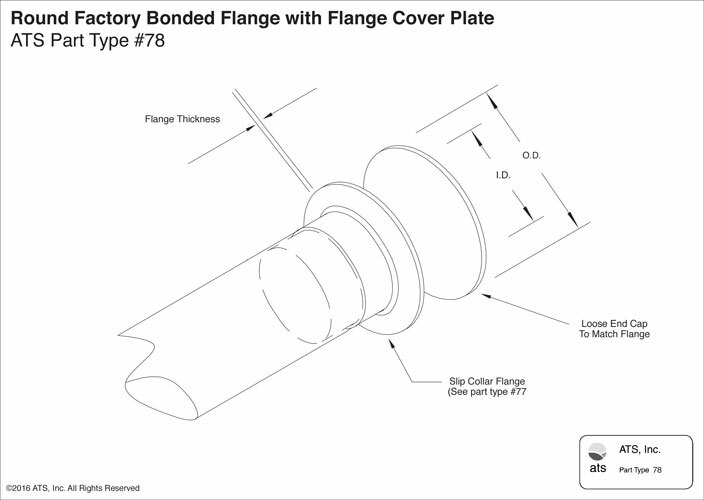 The ATS slip collar flange facilitates flanged connections at any point in a system and also provides for the connection retrofitting. 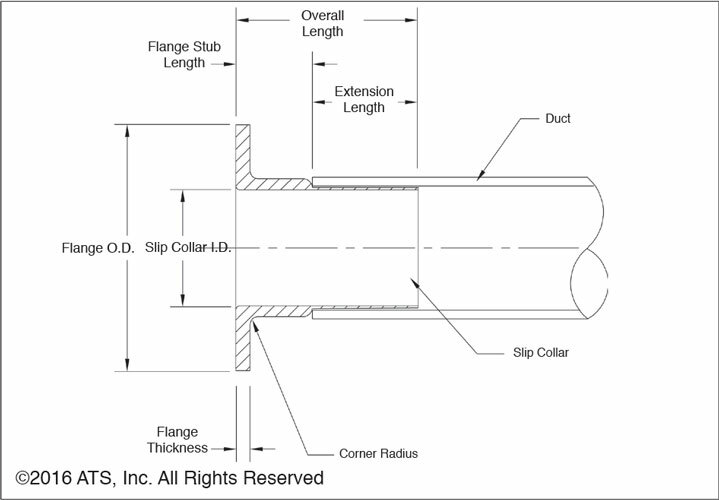 Flange connections make it possible to join duct runs made of dissimilar materials (such as ATS FXP™ duct to stainless steel or regular FRP) and of slightly different dimensions. 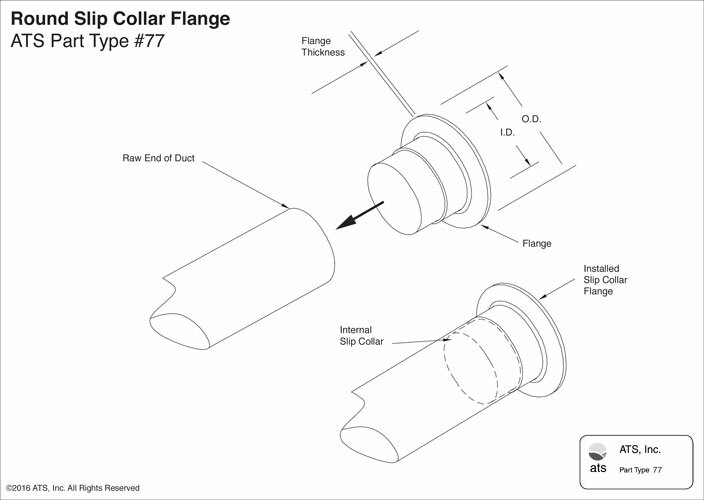 Slip collar flanges are frequently used when connecting to scrubbers, exhaust fans and other tool connections.